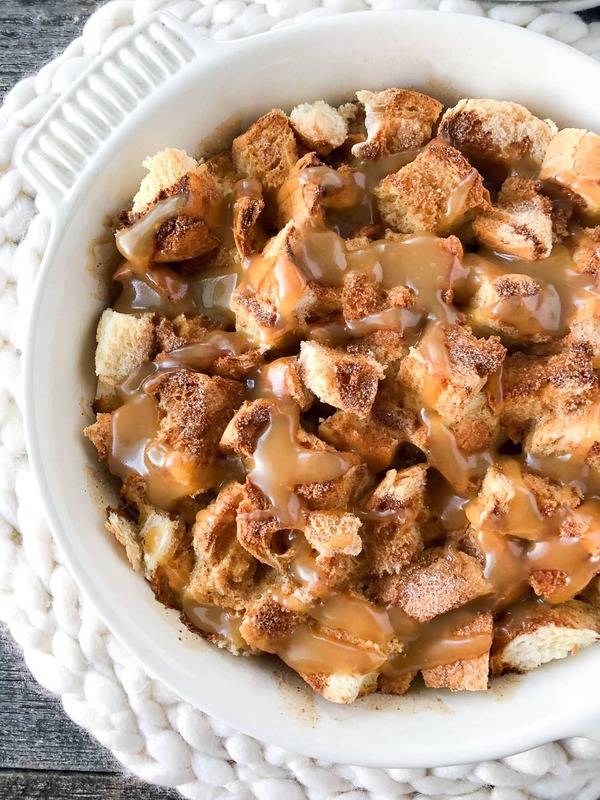 This Eggnog French Toast Bake with homemade caramel sauce is a perfect recipe for your Christmas morning or any brunch this holiday season! You can make it the night before too. Hello friends! Well can you believe that we’re just days away from Christmas?! The season seems to go by faster and faster every year. I think I’m ready…I mean, I guess I’ll have to be right? 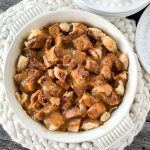 Even though it’s only a few days away, I thought I’d share a last minute Christmas morning breakfast recipe with you. 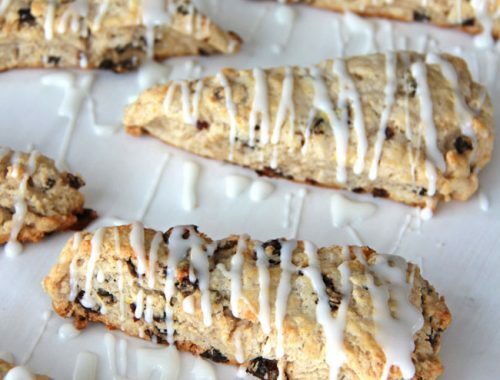 This one is so simple, and I bet you have the ingredients at home already. 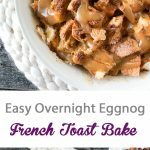 This Eggnog French Toast Bake is easy to make, is rich and tastes delicious! Take it to the next level with an easy homemade caramel sauce. What I love about this recipe is that I can prepare it the night before. I really like, actually I need, to have my Christmas morning breakfast ready to go on the big day. I want to enjoy Christmas morning, so to eliminate some stress for myself, I will assemble a breakfast dish the night before. Then when we get up in the morning, all I have to do is pop it in the oven when we start our gift opening, and breakfast will be ready when we are! 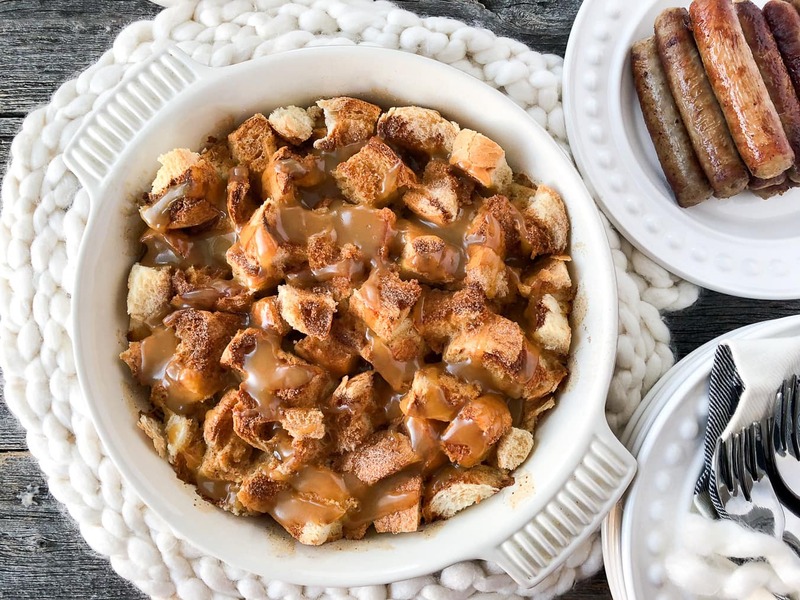 This year this Eggnog French Toast Bake is on our Christmas morning menu. It has all the delicious flavours of Christmas that everyone loves…eggnog, cinnamon, and nutmeg. And to top it all off, instead of offering syrup, I made an easy homemade caramel sauce to drizzle over the top. Yes, it is as delicious as it sounds! Yum. Because this is a rich and sweet breakfast, I will serve it up with bacon, sausages and fresh fruit. So good. 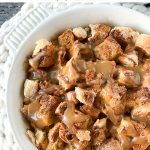 This Eggnog French Toast Bake with homemade caramel sauce is a perfect recipe for your Christmas morning or any brunch this holiday season! You can make the night before too! In a bowl whisk together the eggs, eggnog, cream, vanilla, nutmeg and cinnamon. To a 9 x 13 baking dish, add the bread cubes. Then pour the milk mixture over the bread, and gently stir to ensure that all the ingredients are evenly distributed, and the bread is covered in the milk mixture. 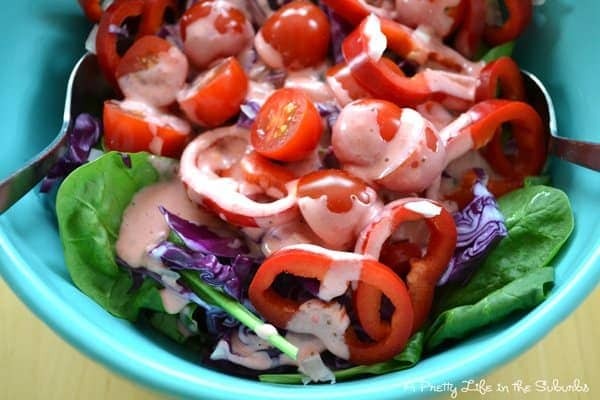 Cover and put in your fridge overnight. 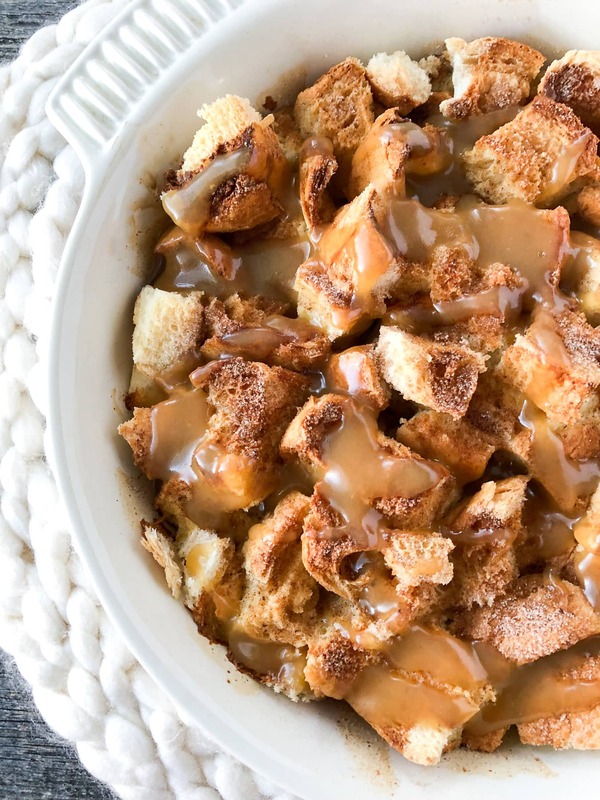 In the morning, sprinkle with cinnamon and sugar, and add to a cold oven. 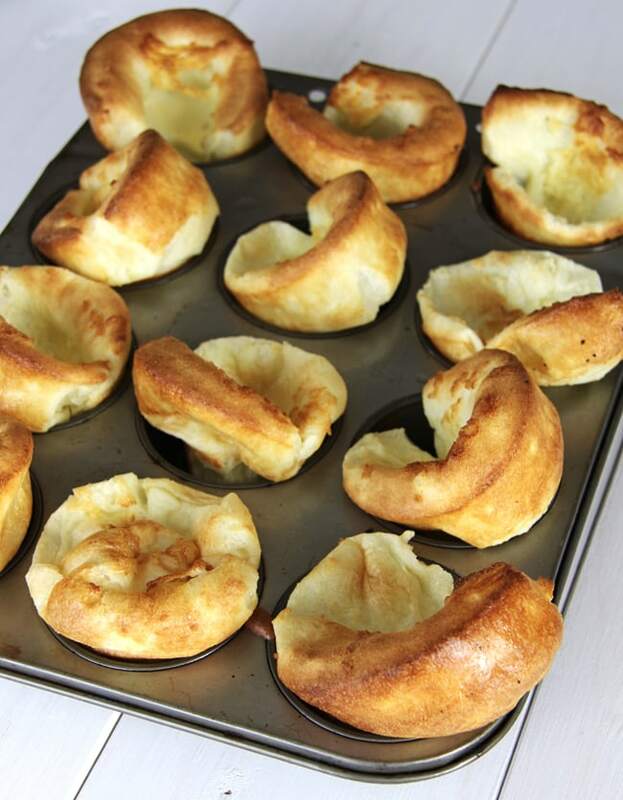 Turn the oven to 350 degrees, and bake for about 1 hour, or until the pudding is puffed and firm in the centre. 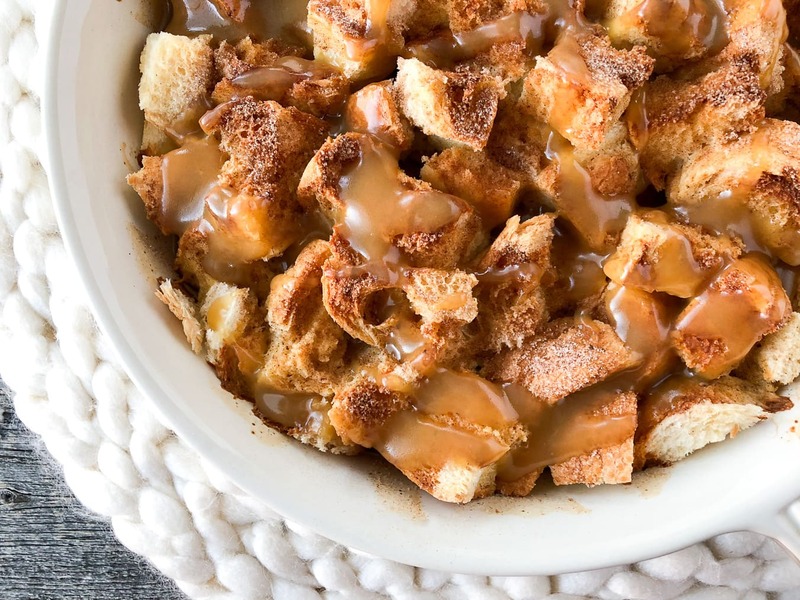 While the bread pudding is baking, you can make the caramel sauce that you will drizzle all over this delicious dish. In a sauce pan melt the butter, then add the brown sugar and cream. Stir over low heat until the sauce thickens. 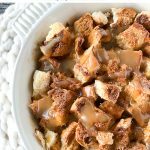 Serve the baked french toast warm with the warm caramel sauce! Have a very merry delicious day!